In many countries, presidents have a difficult time governing because their parties lack a legislative majority. In fact, because of the combination of separate elections for executive and legislative branches with multiparty systems, this situation is far from uncommon: during the last two decades in all 18 Latin American countries with presidential systems, only 26% of the time has the president’s party had a majority in the lower house. Due to this constraint, as a vast amount of research now highlights, minority presidents usually form multiparty government coalitions by including other parties in their cabinets. Again, only four Latin American presidential countries in the last twenty years were not governed by a multiparty coalition at some point since the 1980s. However, the need to craft a legislative majority alone does not explain why presidents frequently include more parties in their governments than necessary to obtain a minimum winning coalition – forming what I call an oversized government coalition. The distribution of this type of coalition in Latin America is shown in the graph below. As can be seen, it is not a rare phenomenon. If government coalitions are costly to maintain, as presidents have to keep tabs on their coalition partners to ensure they are not exploiting their portfolios to their own advantage – not to mention the fact that by splitting spoils and resources between coalition partners, the president’s own party is worse off – then why are these oversized coalitions prevalent in some Latin American countries? In a recent article in Brazilian Political Science Review, I tackled this puzzle by analyzing the emergence of oversized government coalitions in all 18 presidential countries in Latin America, followed by a case study focusing on Brazil, spanning from 1979 to 2012. To this end, I gathered data on cabinet composition from several sources to calculate the size of each government coalition in the sample: if a coalition had at least one party that could be removed without hampering the majority status of the government in the lower house in a given year, I classified it as an oversized coalition. Specifically, I examined three main factors that, according to previous research, should incentivize presidents to include more parties in their coalitions than necessary to ensure majority support: 1) the motivation party leaders have to maximize votes, which would make joining the government attractive to opposition parties (vote-seeking); 2) the motivation presidents have to avoid coalition defections to implement their policy agendas (policy-seeking); and 3) the institutional context, considering the effects of bicameralism, qualified majority rules, and party system format on government coalition size. The results support some of the hypothesis suggested by the literature. First, presidents are more prone to form oversized coalitions at the beginning of their terms, which shows that the proximity to the election affects Latin American presidents’ decision to form, and opposition parties to accept being part of, large coalitions – as others studies argue, this is mainly due to parties defecting from a coalition to present themselves as opposition when elections are approaching. Second, party fragmentation also has a positive effect on the emergence of oversized coalitions, consistent with the hypothesis that presidents might include additional parties in their coalitions anticipating legislative defections. Yet on the other hand, presidential approval, party discipline, and ideological polarization do not have the same positive effects on the probability of an oversized coalition being formed. The factor that has the most impact on the occurrence of oversized coalitions, however, is the legislative powers of the president. As the literature points out, legislative decrees and urgency bills could be used by skilled presidents to coordinate their coalitions, facilitating horizontal bargaining between coalition partners. The comparative results show that this is the case in Latin America: the difference in the predicted probability of a president with maximum legislative powers in the sample forming an oversized coalition and another with minimum powers is about 32 percent points. By exploring the Brazilian case in more depth, I also found that bicameralism dynamics and qualified majority rules impact the emergence of oversized coalitions. With two chambers elected through different electoral rules, parties in Brazil are often unable to secure the same seat share in both houses; to make things worse for presidents, party switching is still widespread in the country. In this context, as my results uncovered, differences in the number of seats controlled by the government in the Chamber of Deputies and the Senate positively affect the emergence of oversized coalitions. Finally, as some bills require supermajorities to be approved, such as constitutional amendments, reformist presidents also tend to form and maintain larger coalitions: the maximum value in this variable predicts increases by up to 10 percentage points on the probability of an oversized coalition being formed. Taken together, these results show a more nuanced picture of why and how presidents form multiparty government coalitions in Latin America: often, obtaining a legislative majority is not enough to implement their legislative agendas, and so they might resort to a complementary strategy: to form larger coalitions. And presidents with greater legislative power, at the beginning of their terms or facing fragmented party systems, are in the best position to pursue such a strategy. 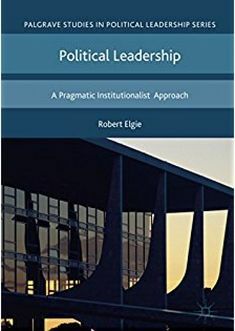 In this way, both electoral and programmatic factors, as well as the institutional context, become key to understand variations in the size and the composition of government coalitions in presidential countries. These countries are Argentina, Bolivia, Brazil, Chile, Colombia, Costa Rica, El Salvador, Ecuador, Guatemala, Honduras, Mexico, Nicaragua, Panama, Paraguay, Peru, Dominican Republic, Uruguay, and Venezuela. The criteria employed to identify a government coalition is the party affiliation of the ministers of the principal ministerial portfolios in each country – taking into account that ministers are not always recruited due to their connections or their congressional influence, and that in some cases they are not recognized by their parties as legitimate representatives of the same. This entry was posted in Argentina, Bolivia, Brazil, Chile, Colombia, Costa Rica, Dominican Republic, Ecuador, El Salvador, Guatemala, Honduras, Latin America, Nicaragua, Panama, Peru, Uruguay, Venezuela and tagged Brazil, Coalitions, Latin America, presidentialism on March 27, 2017 by Robert Elgie.